Axe – Next Hipster Trend is what's HAWT, NEXT! 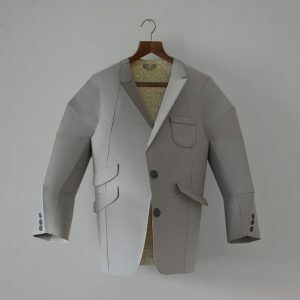 Hone your origami skills and you to can make your own sharp suit from paper you’ve made yourself. It’s not hard to pinpoint the allure of making your own stuff. You feel a sense of accomplishment and pride as you admire/eat/drink/wear/ride/use whatever it is you just made. But far more importantly, literally the most important thing in the world, is other people knowing that you made something. Social media has made this possible in spades and every mid-tier hipster has made something to show off on facebook, instagram, reddit, etc… Hell, even Kevin down at the artisan tea shop made that crummy messenger bag from re-purposed retro flour bags. And Andy in accounting makes a kickass IPA, even though I would never tell him that to his face. Andy, in accounting. Ugh. Anyway, the point is that even normals are getting in on our turf so we need to do something huge to set ourselves a cut above. Make your own EVERYTHING. “The aim to make everything” has, of course, gotten digital and academic with the MIT “FABLAB” specification. A network of distributed micro-manufacturing centers propped out with a dizzying array of extruders, embroiders and plasma torches mostly located at Makerspaces will allow anyone to fabricate anything on-demand. Need some new hangers? Open up your handy 3D CAD application and copy, paste, click … no more wrinkled tweed blazers for you! Don’t run off just yet, I know this sounds daunting and perhaps even a bit completely absurd, but when you really think about it, that’s what being an elite hipster is all about. It’s that “notice-me” flair that landed you your present gig running a Neapolitan-kimchi keto pizza truck. You’re going to need to commit to this hard, like you’ve done everything else to position yourself as hipster royalty in the region. HOWTOHAWT: When you commence making, I’d advise that you start with the big three: food, water, and shelter. Those three alone should keep you pretty busy for the first couple of months considering it’s winter and you will likely die once you move out of your studio apartment. (Side note, don’t forget to “pack it in, pack it out” by building your own coffin.) Next, smugly declare to your roommate Theo: “another set of hands built these walls, my hands will build my own.” After you have clothed yourself with crude garments that you fashioned from the “borrowed” hair of the neighbor’s Afghan hound, hit the trail! The first night will likely be rough, so get an early start. I suggest finding a build site near a fresh water source that is somewhat secluded as you will need to poach a considerable amount of wild game to feed yourself until spring when your first foragable leeks emerge from the frosty sod. For a temporary shelter, construct a quinzhee hut, and begin felling spruce trees. This will prove difficult without a cutting implement, so first you will need to forge an axe blade. Before you do that you will need a forge, etc. If you’re already feeling overwhelmed, GOOD! Nothing worthwhile is ever easy. Just ask the DIY deity in the video below, Richard Proenneke, who would rightfully ashamed of you for your shamefully weak “browsing the internet” and fully reading this stupid article to its end. Go whittle a cabin, looser! Then, maybe, you’ll be HAWT. P.S. To save time, here’s an article I wrote back in 1970 on the subject.